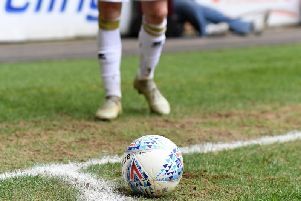 New signings Jake Hesketh and Stephen Walker made bright starts to life at MK Dons, despite the circumstances at Exeter on Saturday. Both came off the bench in the 3-1 defeat, showing early signs of why Paul Tisdale was keen to bring the pair in on transfer deadline day. Hesketh arrived on loan from Southampton, having spent the first half of the season on loan at Burton, while striker Walker joined from Middlesbrough. “Jake came on when we were on top, and created,” said Tisdale. “David Wheeler attacked those balls, and I can see a line there. We needed someone else attacking the ball with David. Captain Dean Lewington continued: “The two new boys have come in and they have looked decent and lively, and are not to blame for what happened. The skipper added: "January is always an unsettling month with players wanting to leave, agents talking to the players and all that stuff going on around."